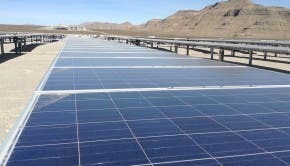 Net Metering a Cost to Utilities, or a Benefit? Utilities often claim that allowing customers to run their meter backward (by generating electricity on-site, e.g. from rooftop solar) can affect their bottom line because these customers don’t pay enough to cover the cost of maintaining the grid. In at least one case, however, a utility’s cost-benefit analysis of net metering was turned on its head in an independent review. Presenting as part of Vote Solar’s Data Not Drama webinar on net metering last month, Interstate Renewable Energy Council’s (IREC) Joe Wiedman showed the Public Service Company of New Mexico (PNM) erred in proposed standby charge of 5.3 cents per kWh for net metering customers. The utility asserted that this charge – ostensibly to backup these on-site generators – would allow the utility to recover its costs from these customers busily spinning back their meters. IREC’s review of their analysis, however, showed that net metering was actually a net benefit to the utility. The differences were substantial. While PNM had given almost no value to net metering systems, IREC’s review found that the on-site generation helped the utility avoid energy costs, line losses, capacity upgrades, and transmission costs worth over 15 cents per kWh. Even when balanced against the transmission and distribution costs, and power generation costs to the utility of supporting net metering, the policy had a net benefit of 7.8 cents per kWh, a 13-cent difference! The following chart illustrates, with the perceived costs shown in red (positive) and perceived benefits in green (negative). The lesson for advocates of distributed generation is clear: challenge utility valuation of net metering and of distributed renewable energy. You can never be sure what they overlook. This post originally appeared ILSR’s Energy Self-Reliant States blog.